Ah, La Conche… A magnificent long beach, where both young and old can enjoy an invigorating swim in the sea. 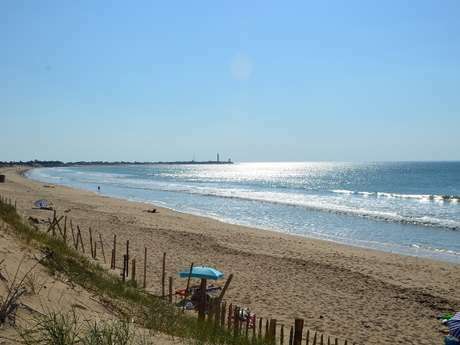 It stretches between Les Baleines Lighthouse and La Pointe du Lizay up to Les Portes-en-Ré. Pick your favourite spot: Le Chaume, la Solitude, Le Pas de Zanuck, where the film Le Jour le Plus Long was shot, Couny… Explore them all. At each bathing site everyone will tell you that they've found the best spot!